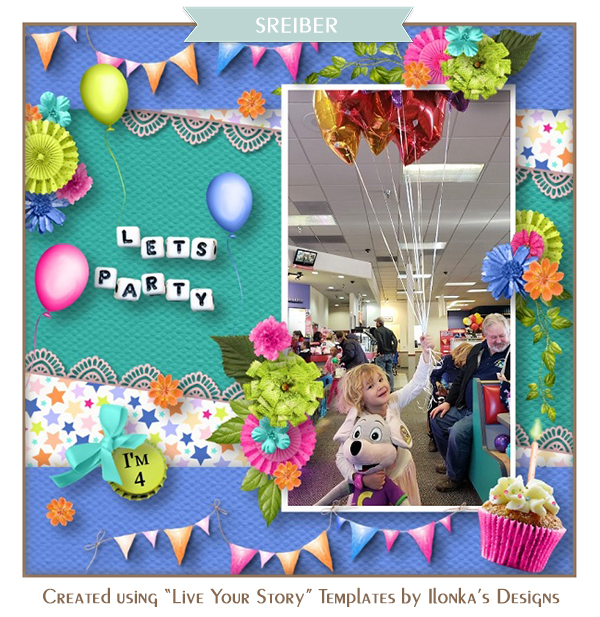 I thought it was time for a brand new Blog and Website. 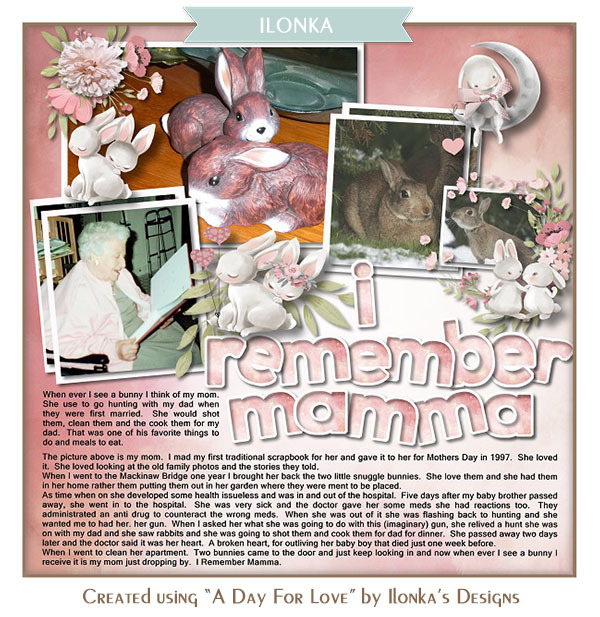 I have changed the layout of this Blog a few time over the past few months and I was still not completely happy with it. 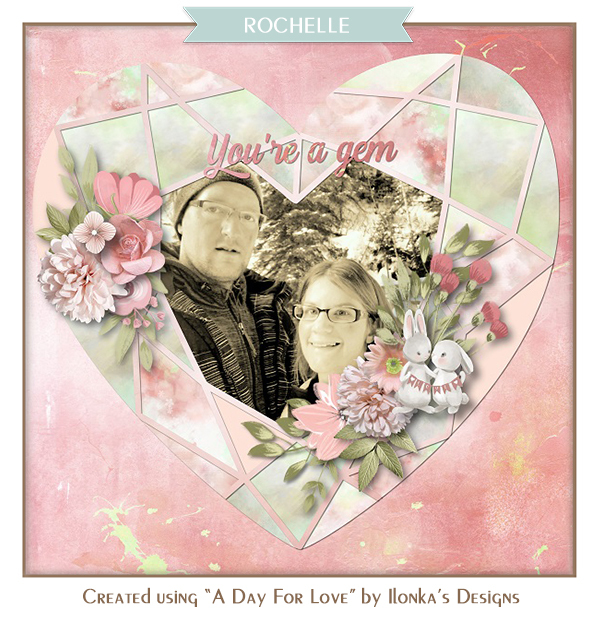 I thought I missed a homepage, so that's why I started all over again. This Blog will still be alive, but you won't find much new here soon. 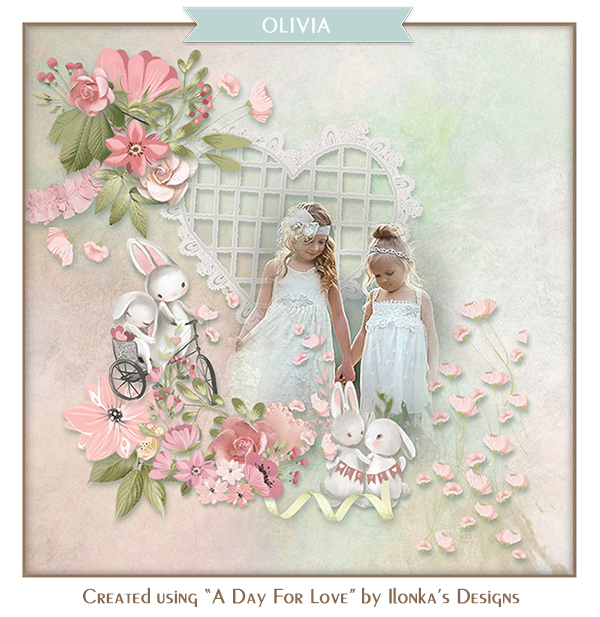 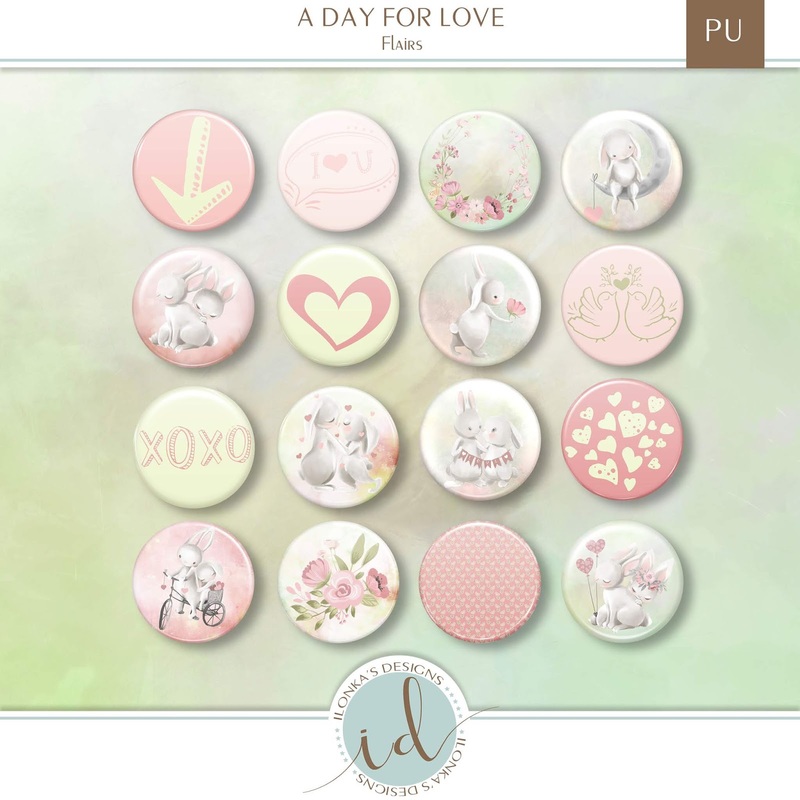 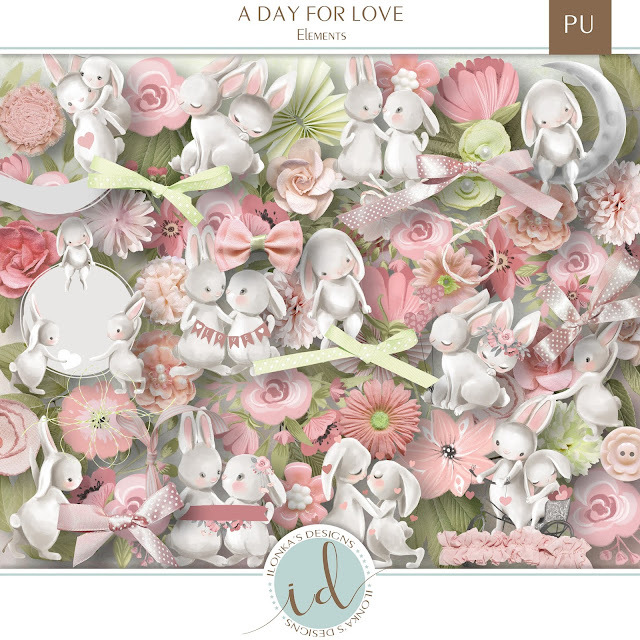 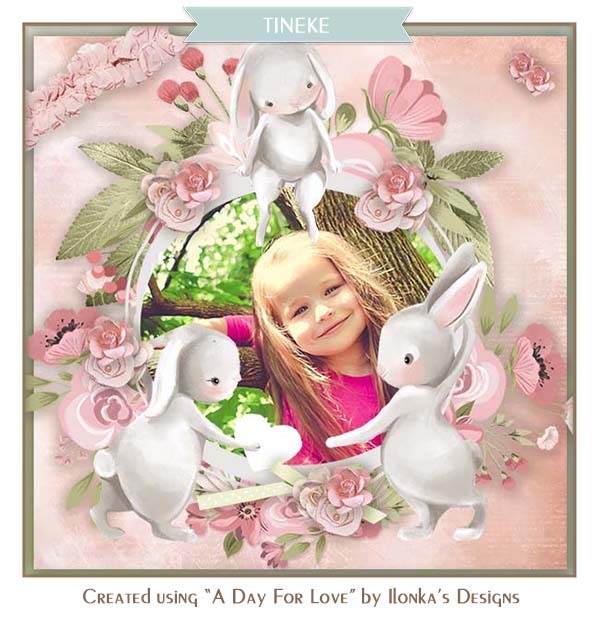 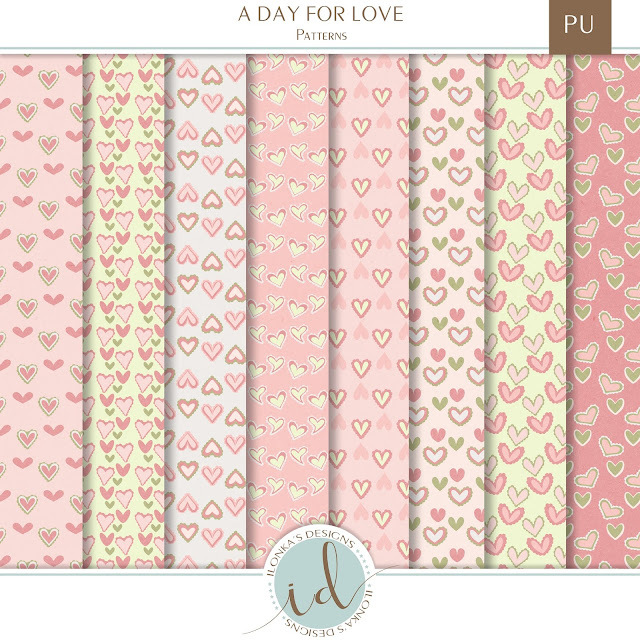 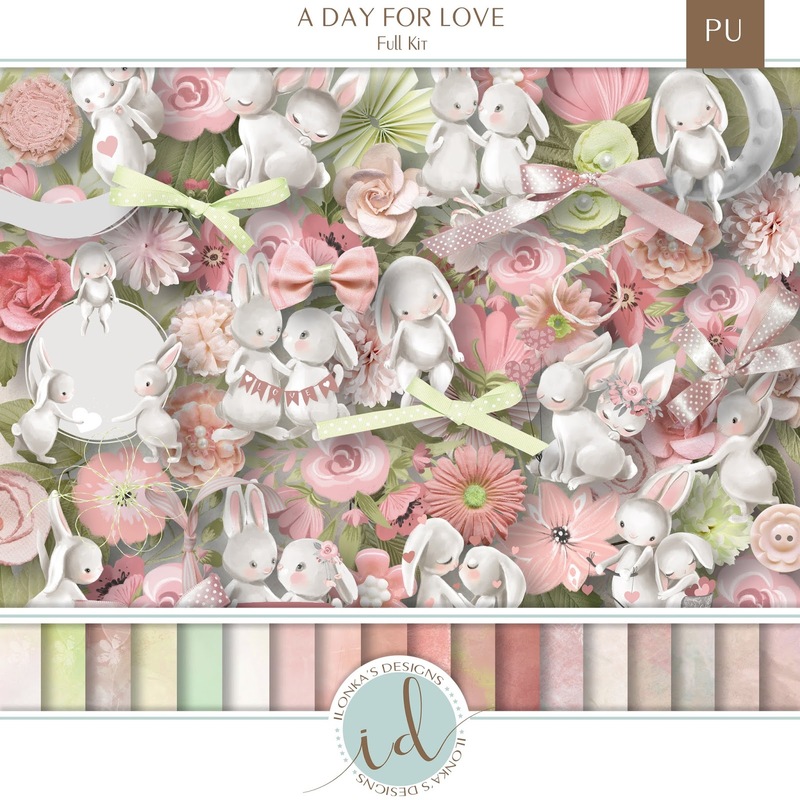 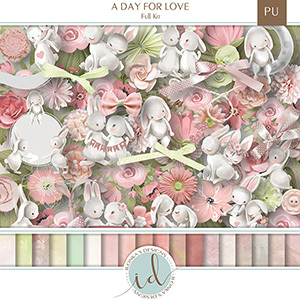 Valentine's Day is coming up soon, so this collection is all about Love and about some cute Bunnies. 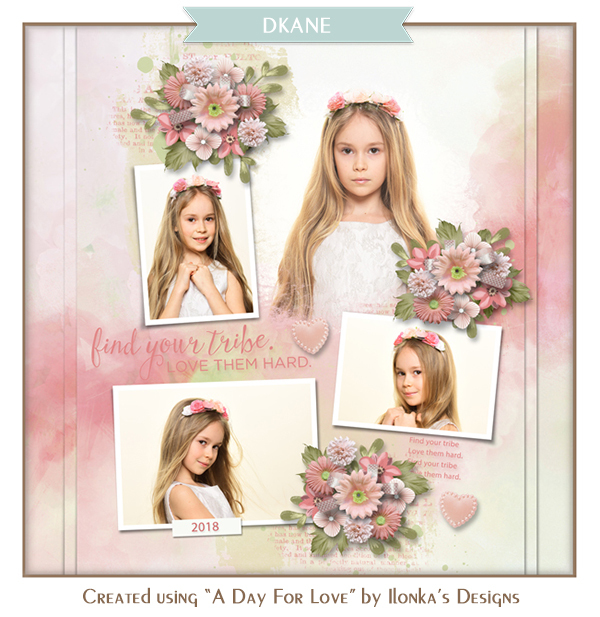 The whole collection is on sale with 25% until February 1st. 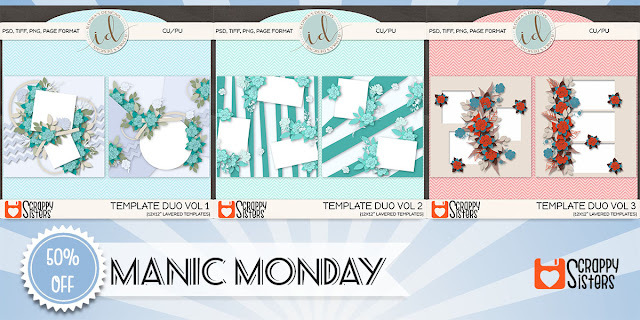 It's Manic Monday again at Scrappy Sisters. 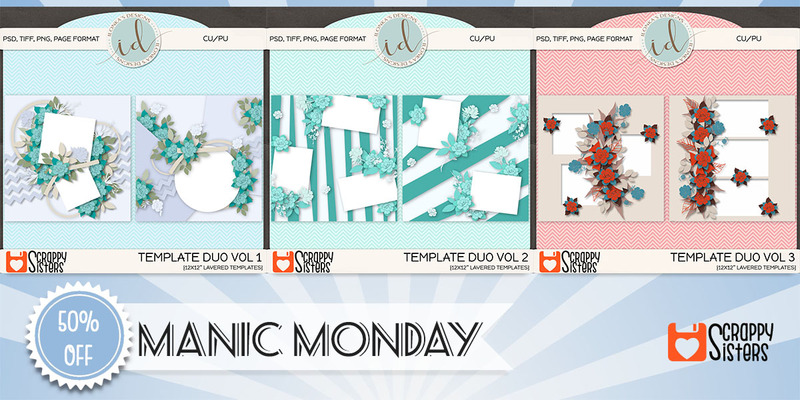 Today Template Duo's vol 1, 2 and 3 are on sale with 50% off. 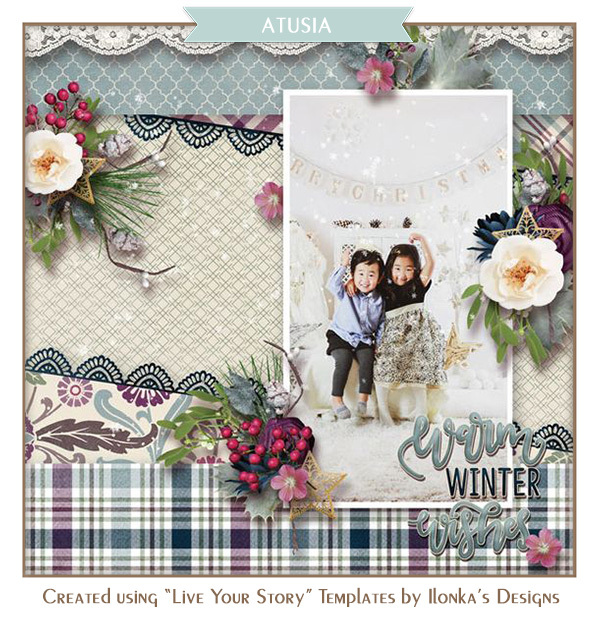 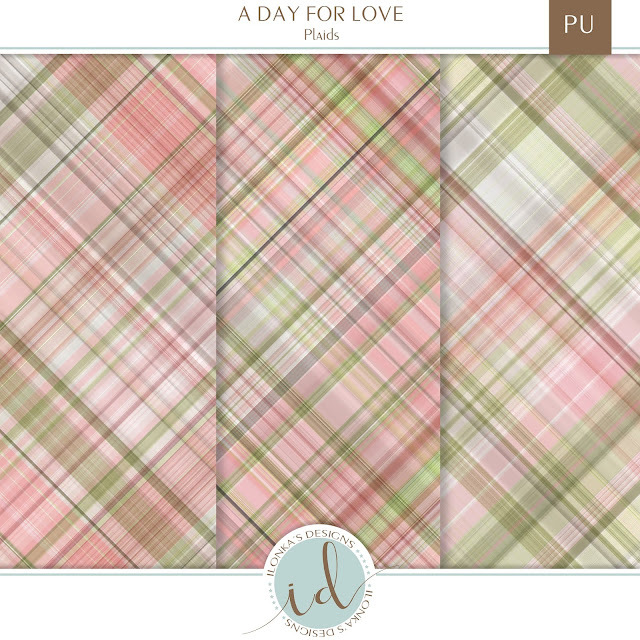 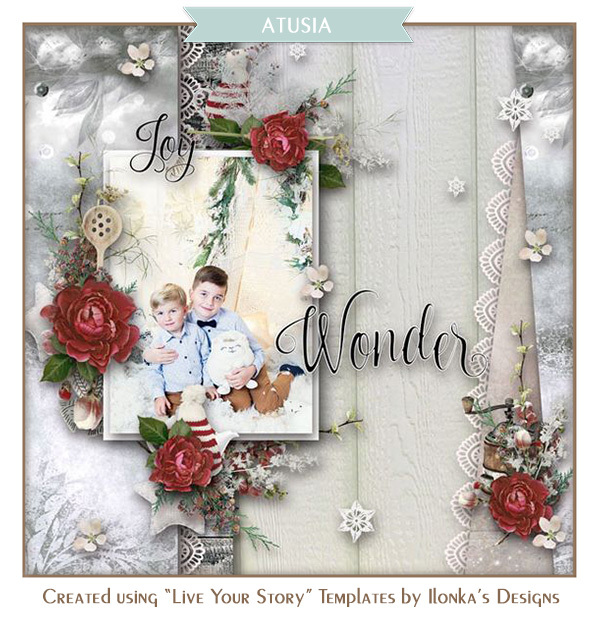 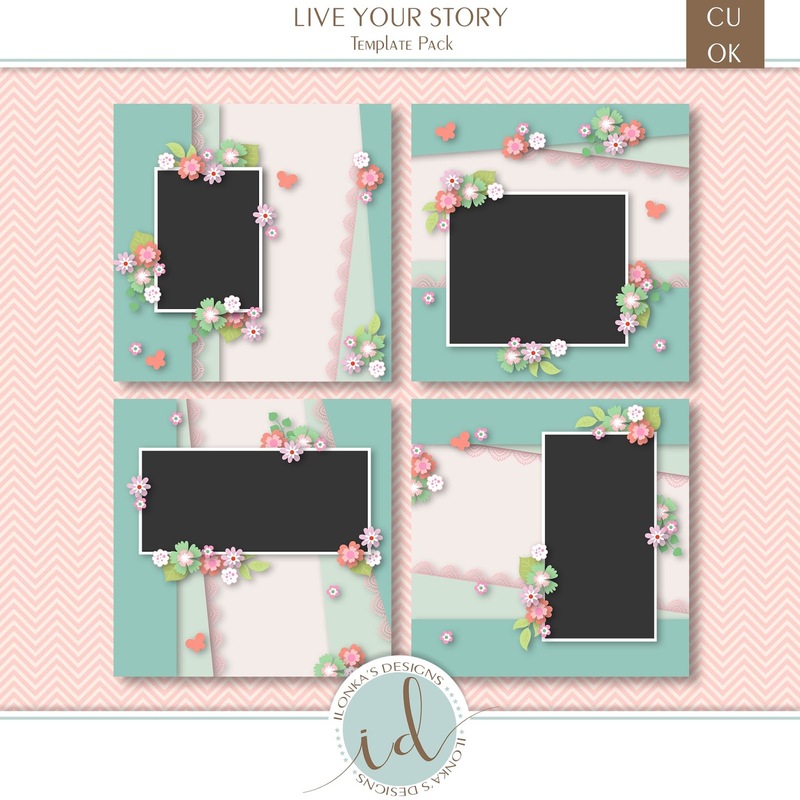 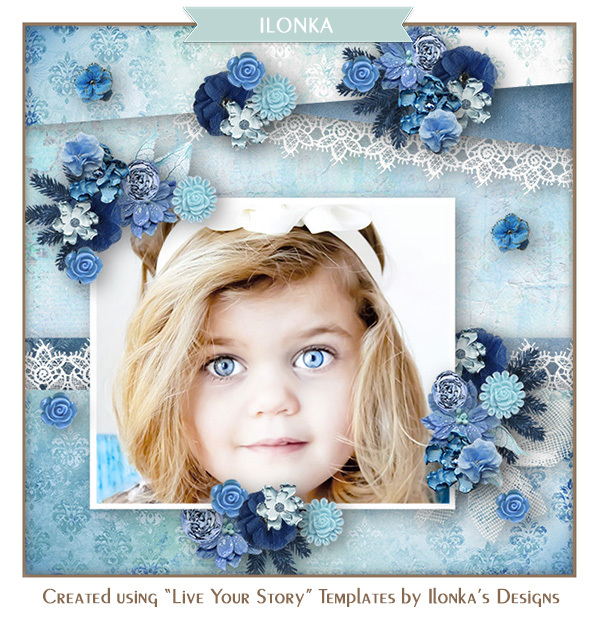 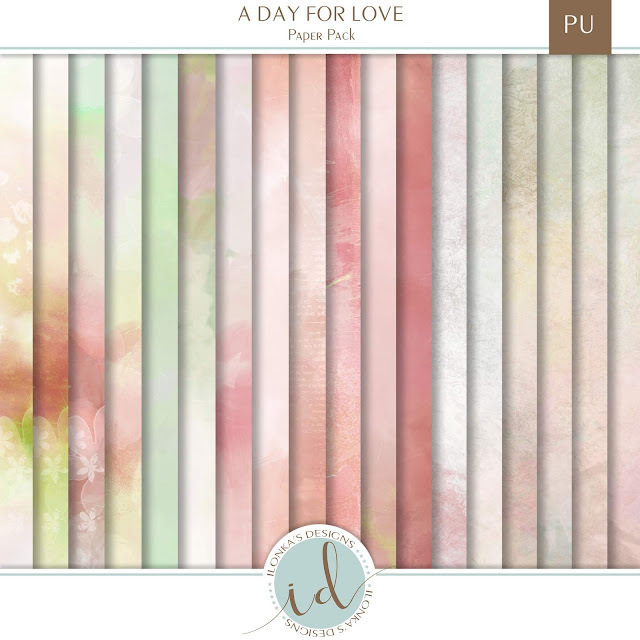 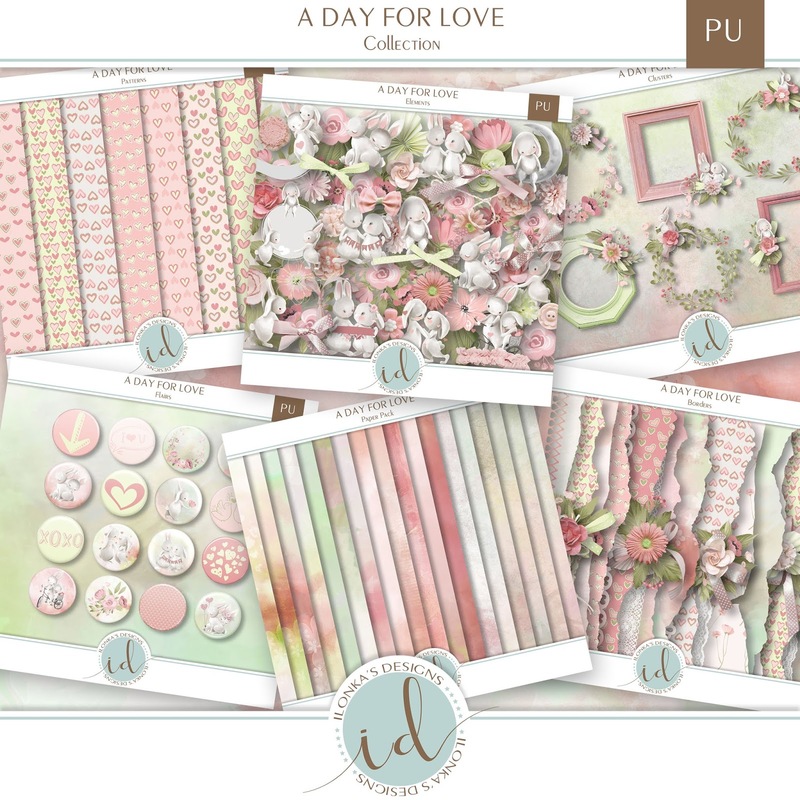 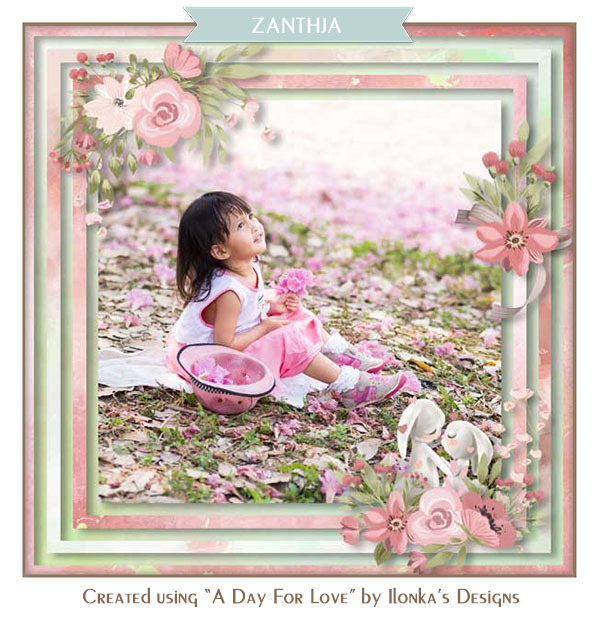 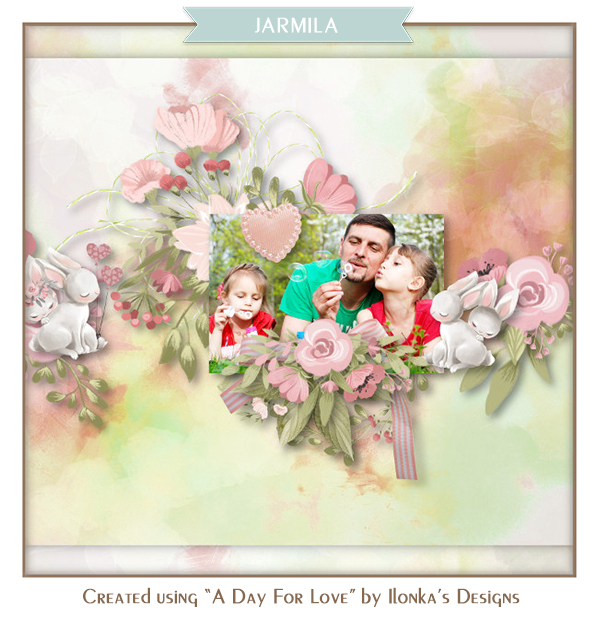 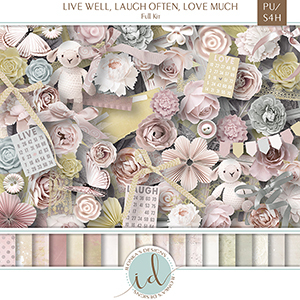 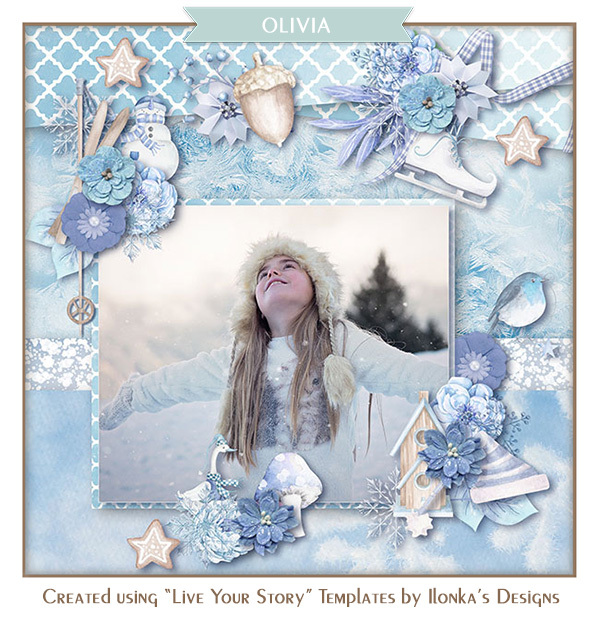 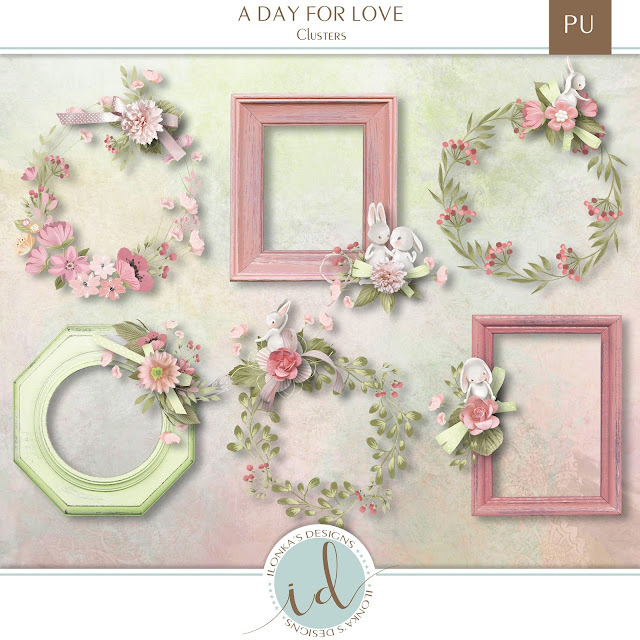 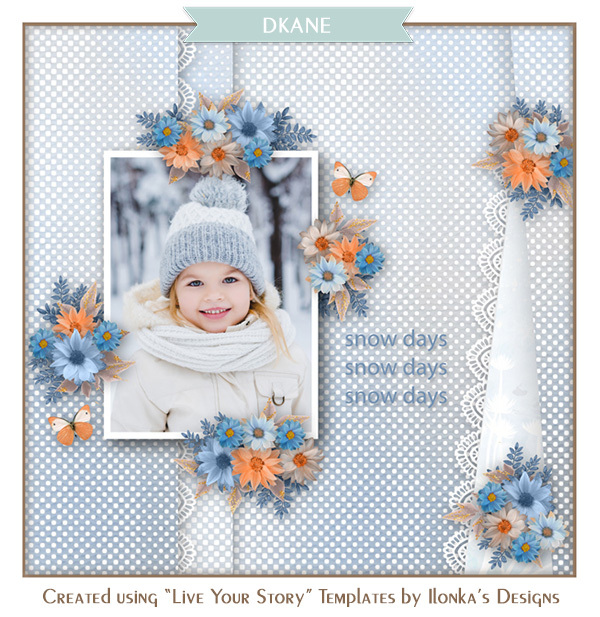 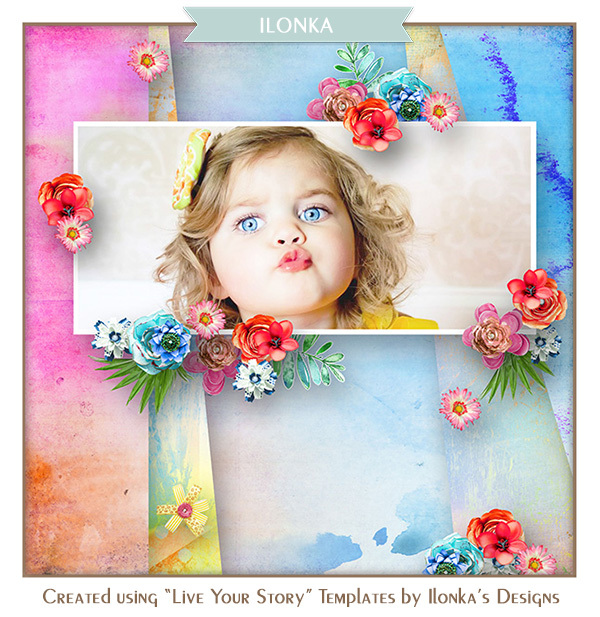 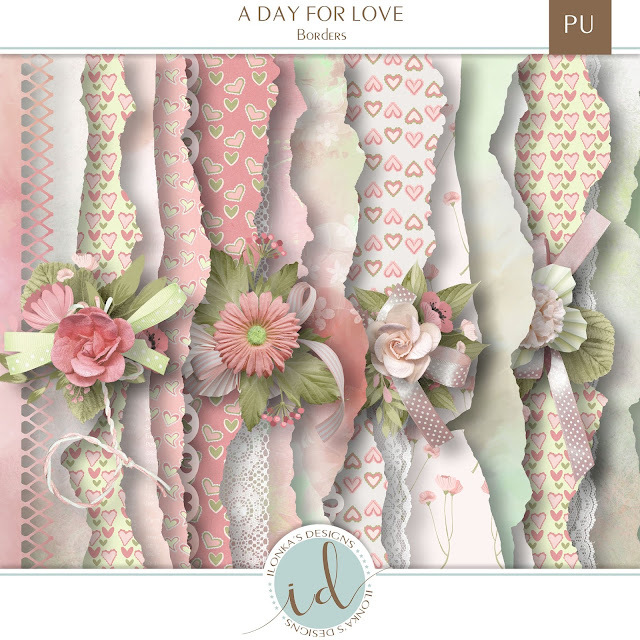 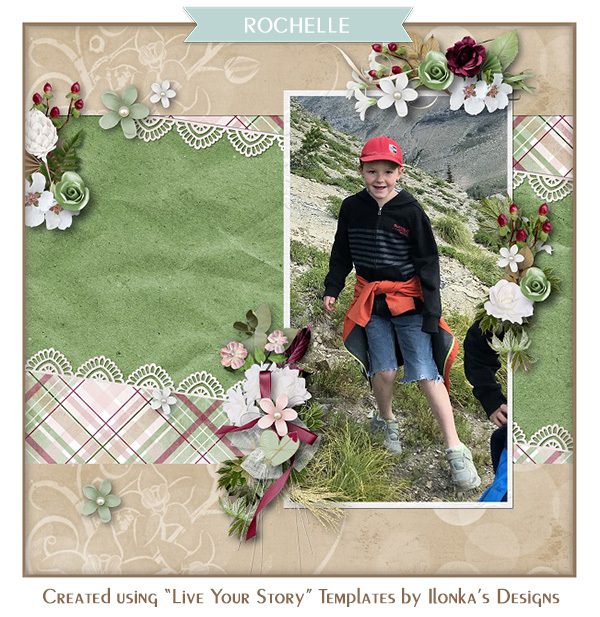 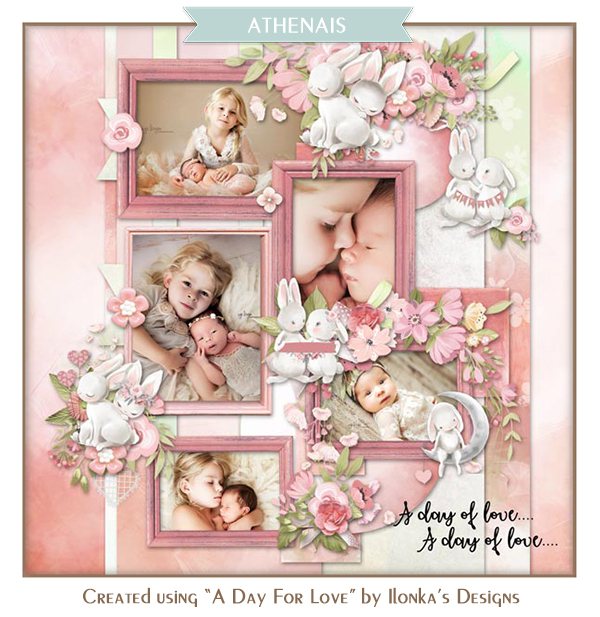 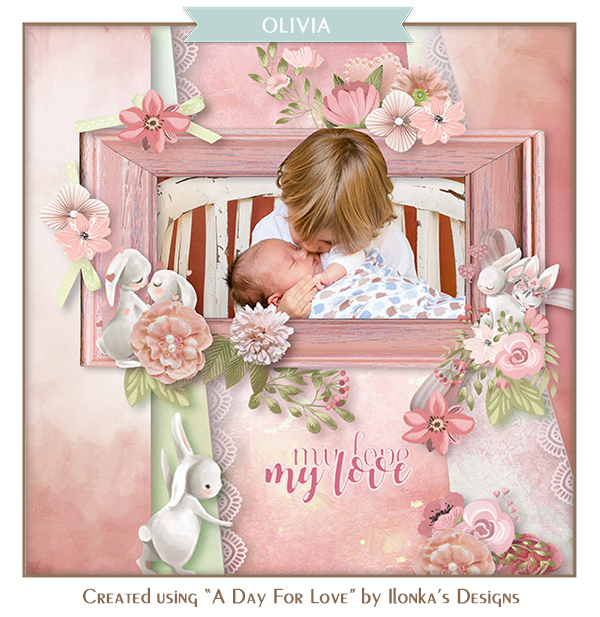 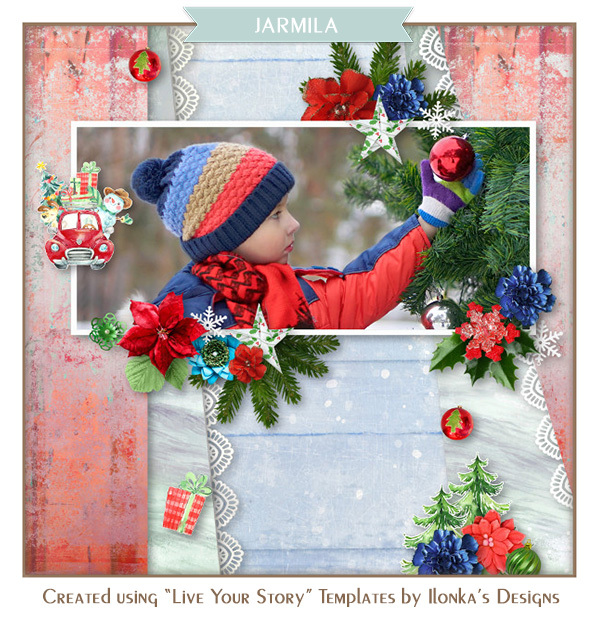 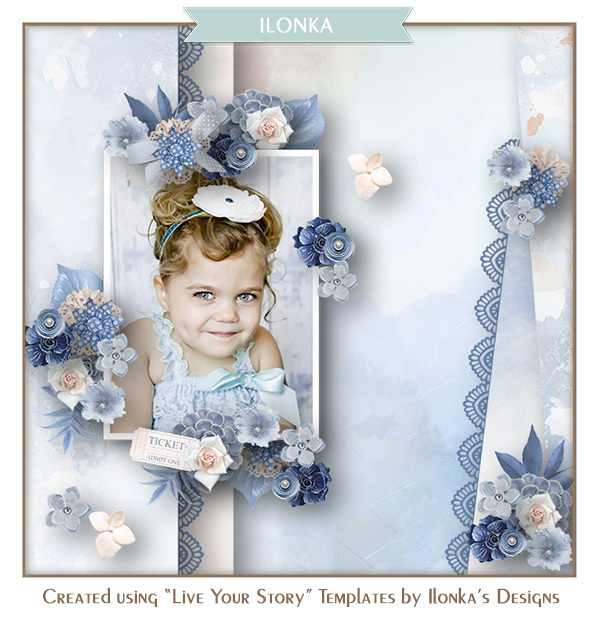 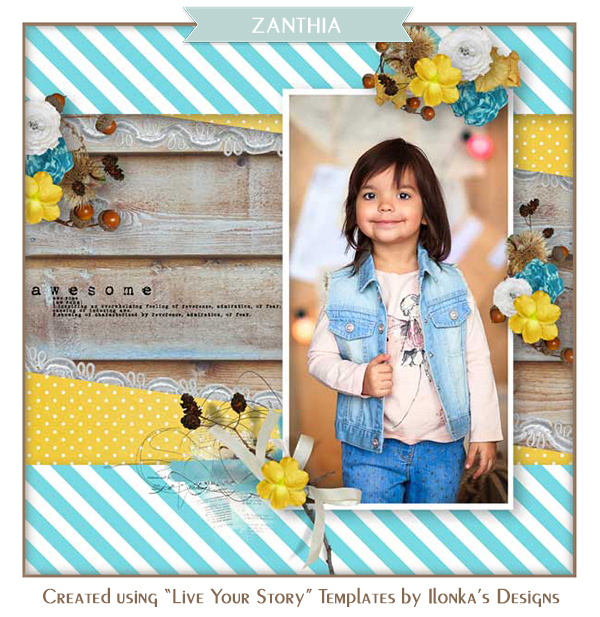 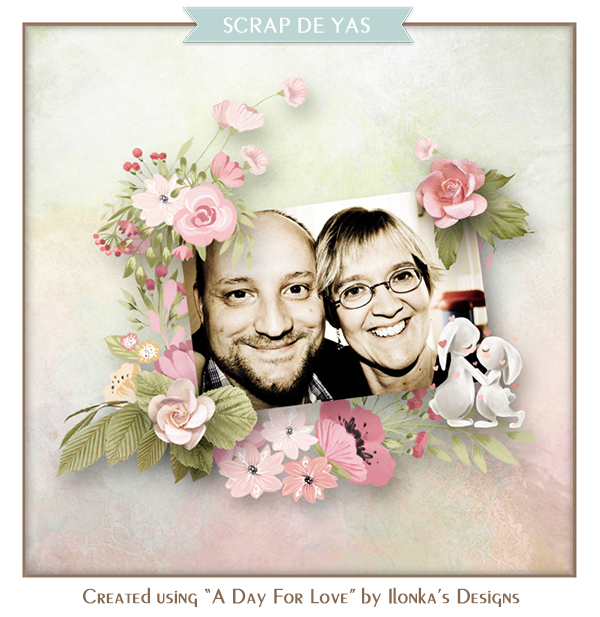 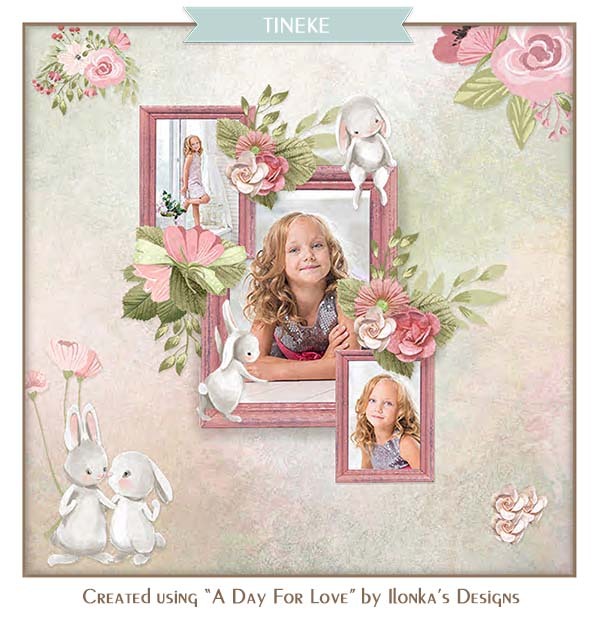 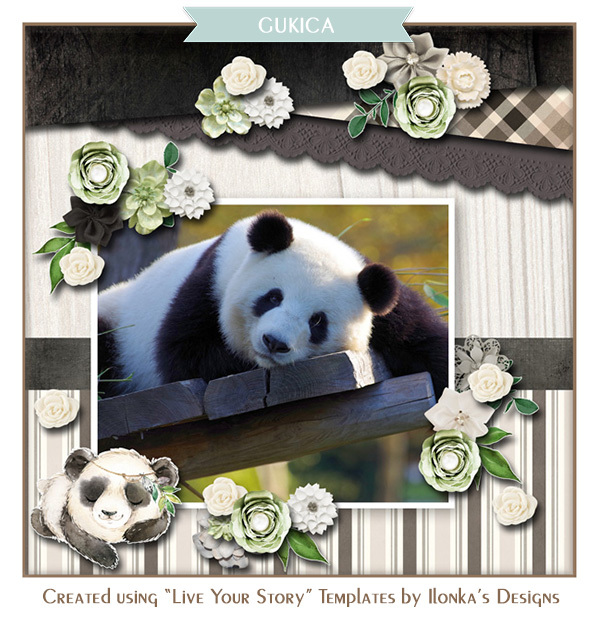 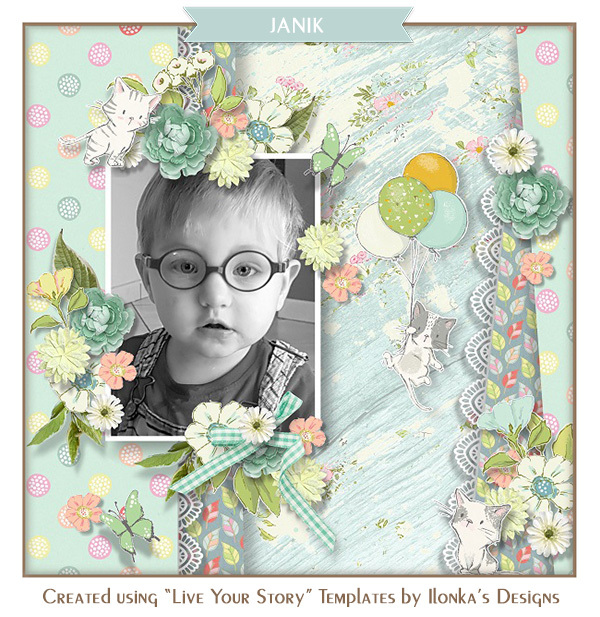 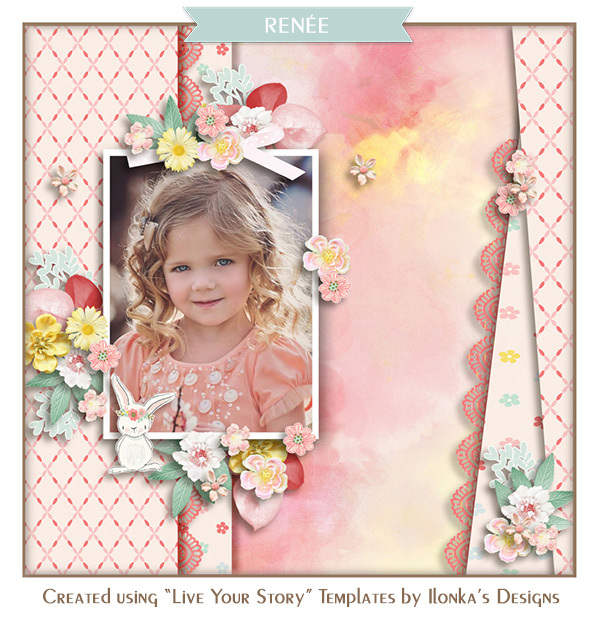 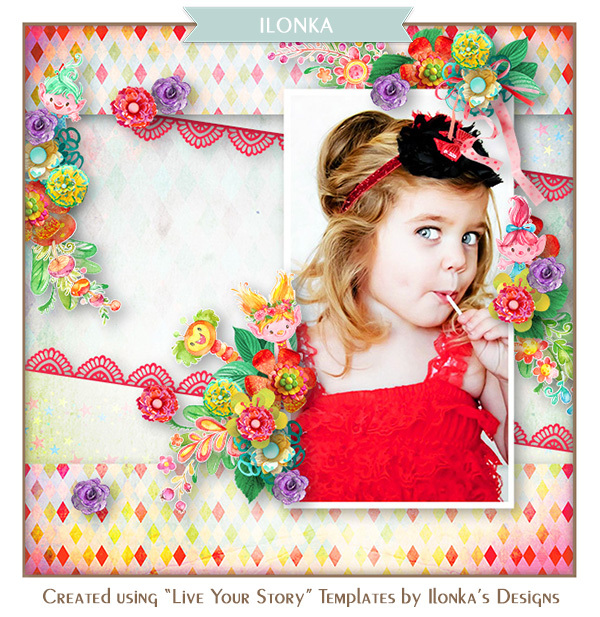 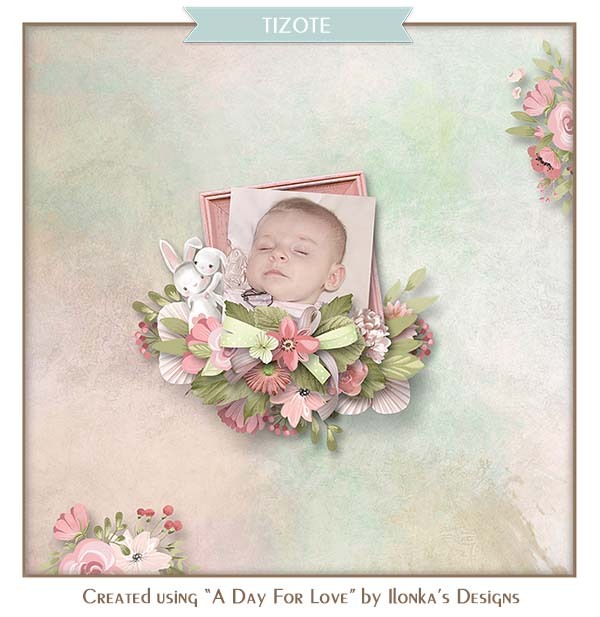 These templates "Live Your Story" have space for one big photo which will be surrounded by wonderful flower clusters. 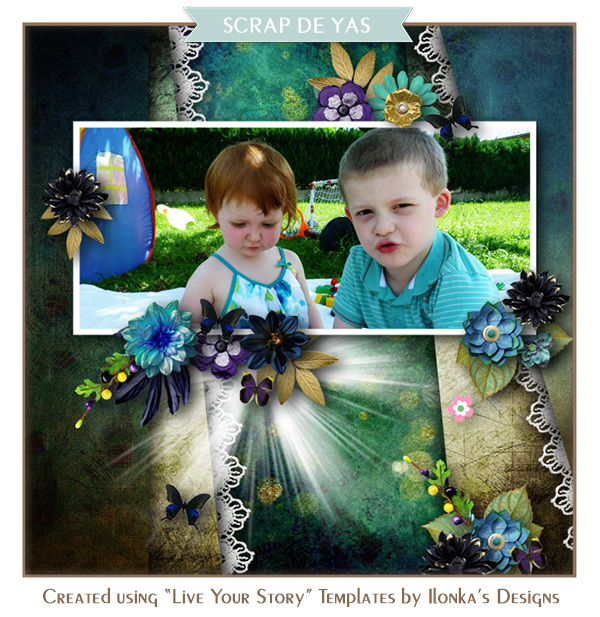 You can customize each template to your own needs. 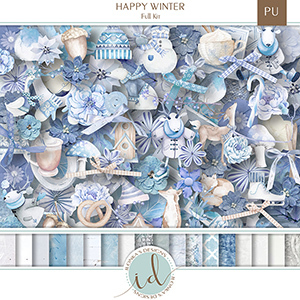 This pack contains PSD, TIFF, PNG and PAGE files. This pack is on sale with 25% off until January 25th.